Manufacturer: Custom Sales and Services Inc. Description: Custom Sales and Services is a family owned and run Builder that’s been running in New Jersey since 1958. 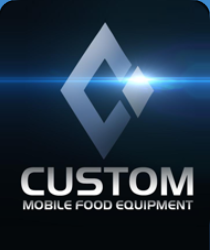 We are a worldwide leader in the manufacture of Customized Mobile Food Equipment, having built just about every type of Truck, Trailer, Cart, Kiosk, and other wheeled vendor one can think of; if you can imagine it, our CAD engineers can design it. Our products have been used by everything and everyone from Disaster Relief to the US Military and Commercial Caterers to Private Individuals. We are your one stop shop. Personal attention and “doing the right thing” are the motto and philosophy of our business. We are thus dedicated to satisfying our customers and ensuring best looking, built, and most functional vehicle we can to help them succeed. Once built to your specifications, our full-service graphics shop can create stunning custom designs or match rigid franchise demands.